You are at:Home»English»J-TOWN BEAT: Where Are You, Shawn Miyake? “Have you met Shawn Miyake?” I get that question a lot, from a wide range of folks. Whether it’s at a community event or over coffee, the question comes up. It’s been a few months now since Keiro sold its real estate assets to Pacifica Companies, and the man in the middle of the controversy remains an enigma. Miyake, apart from the heated public meeting at Nishi back in October, has not been seen, nor heard. He hasn’t spoken in an open setting on behalf of Keiro. That task has fallen to board chairman Gary Kawaguchi, who the times I’ve seen him, has been earnest about the reasons the board decided to sell. To me that boat has sailed, even if many in the community remain dissatisfied with the answers. 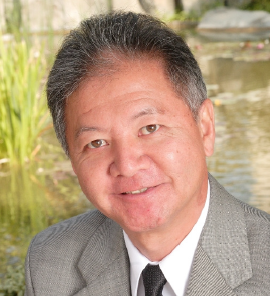 Even a recent letter addressed to the L.A. County Board of Supervisors was signed by Kawaguchi, but lists Miyake as the contact person, since he is after all Keiro’s president and CEO. There are a number of executives in the JA community that hold the title of president and CEO, and that means they are the face of that organization. Dean Matsubayashi, Leslie Ito and Greg Kimura — if you know anything about J-Town, you know that they represent LTSC, JACCC and JANM, respectively. The newest to join those ranks is Dr. Vince Beresford of the Go For Broke National Education Center and I’m sure we’ll be seeing and hearing more from him in the coming days and weeks. The president and CEO is the one who makes the speeches, schmoozes wealthy donors, takes the grinning photos that appear here in The Rafu and, importantly, answers difficult questions brought to them by the community and their governing boards. Their performance is evaluated by the board and they are compensated accordingly if they meet certain goals, whether in programming, management or fundraising. Of course no one person can lead a successful organization by themselves. As Karen Ishizuka mentioned in her rousing speech at the JANM gala, you also need passionate individuals like Clement Hanami who, through their years of dedication, become the heart and soul of the institution that they’ve devoted their professional lives to. Here at The Rafu, I guess to some extent that task often falls to me as head of the English section. As a private company, The Rafu has no board. I am a hired employee who works solely at the behest of publisher and president Mickey Komai. While I and others on staff create and guide editorial content, and we are often the faces the community sees, we do not guide the fate of the newspaper itself. So back to Shawn Miyake. Where is he? I can understand why he and the board may have decided that it is best that he not make public appearances. He has been roundly pilloried for a decision ultimately made by the board, but your president and CEO has to be able to represent your organization, especially one making a transition such as the one Keiro is currently undertaking. Gary Kawaguchi has his own full-time job running Upper Crust. Shouldn’t Shawn Miyake be out there explaining what the future Keiro will be? Getting people excited about their new endeavors? Working on development and meeting with potential donors? Maybe with $41 million in the bank, Keiro sees little need for development, but certainly community engagement is still a priority. The IRS requires nonprofit organizations to file 990 forms that disclose the salaries of their top executives, a requirement to ensure transparency and accountability. Keiro reported in 2012 that Miyake was paid over $275,000 in total benefits. Honestly, from the point of view of a Little Tokyo community reporter, that is a staggering sum. But it reminds me of an argument I would often have with Horse’s Mouth columnist George Yoshinaga, who was outraged at the salaries non-profit executives working in the JA community. I think Horse thought “nonprofit” meant “no profit,” meaning the people who lead these institutions should not be making any money whatsoever. That just isn’t the case. I (and Iku Kiriyama) would tell Horse that for the amount of work that they do, and if placed in context with other similar nonprofits, my guess is that our JA president/CEOs are on the low end of their salary ranges. But that means a question that I would have for Keiro is whether the salaries of their top executives are being re-evaluated in light of the change in the mission of the organization, which no longer sees to the day-to-day welfare of the elderly residents of the four facilities. Have new job descriptions with updated salary ranges been developed? Some of the murmurings about Miyake is that he is not a “community” person, that he doesn’t show up at community events other than those sponsored by Keiro. That is more difficult and for outsiders may be the harder part of understanding and being embraced by the JA community. “Community” in a JA context is being part of the sticky glue that seems to connect every person through the vast network of aunties, uncles, classmates and basketball teammates. That means things like dancing at Obons, sitting on Second Street for Nisei Week, eating lunch at Mitsuru Grill, reading The Rafu, or running into people at The Cal during the Hollywood Dodgers tournament. It means you are part of the interconnected social network that we call the JA community. For outsiders it’s a lot harder to join in and I’d say that most of us at Rafu have had to work very hard to become part of that community, but we are proof that it can happen. It means six-foot-tall Mexican American photographer Mario G. Reyes is part of the JA community or crazy-haired ukulele-playing sports editor Mikey Culross is a part of the JA community. And even a JA kid like me — who grew up in San Pedro, not Gardena or Torrance, and never played JA basketball — through patience and love of what I do, can become part of this JA community. It’s a vital part of our job and the only way we can understand the community we cover. If Shawn Miyake isn’t out there in the JA community, how can he comprehend what the current and future needs are? Could this be part of the failure by Keiro to anticipate the need for senior health care among the growing ranks of Shin Issei? I realize that Keiro and Shawn Miyake’s defenders will be unhappy with what I am saying, and they may feel they can’t get a fair hearing because of Rafu’s continuing coverage. This is said with the belief that we absolutely need Keiro to be strong, active and engaged in the community, not withdrawn and bitter. Every institution and business that serves the JA community is just too important to lose. If Shawn Miyake isn’t able to be out there representing Keiro — then maybe it’s time to find a new president/CEO who can lead the organization in a new direction. Gwen Muranaka, English editor-in-chief of The Rafu Shimpo, can be contacted at [email protected] Opinions expressed are not necessarily those of The Rafu Shimpo. A Japanese translation of this column will be published at a later date. Thank you SO much Gwen for your article about the selling out of Keiro and Shawn Miyake. Yes, Keiro has been sold to some huge corporation, and I feel it is an even greater loss to our community than what was imagined. It was a selling out of our legacy as a community and heritage. There were fairly prominent people in our community that didn’t want to get involved and oppose the sale of Keiro because they knew people on both sides – well, now that the deals is done, and Keiro is lost, how does that feel for our community? Rafu is one of the very few voices of the JA community – I am so glad that there are articles about the loss of Keiro and what that means and how it will continue to affect our community. THANK YOU RAFU!!! It is time for Mr. Miyake to show up and explain how Keiro will take care of and protect its former clients during this controversial transition and then in 2021. I feel it’s important that he return the courtesy and support that we, as a community, have committed to him for so many years. Great column, Gwen! You are asking important questions. I certainly have never met Shawn Miyake and don’t know anyone else who has either. I get that $275K seems like a lot of money for a non-profit, but maybe that is not out of line for the head of multiple senior/health facilities. But surely that is not comparable to private sector salary for what he is doing right now. And, what exactly is he doing right now? Thanks for keeping at this, Gwen and Rafu. I think Ed Hiroto Kiyo Maruyama, Jim Mitsumori, Mr Aratani and many others are turning in their graves (or not) to think this is what they worked so hard for in their vision for the Japanese community. This cannot be!!! I can’t believe that Shawn Miyake fooled us over all these years! Bachi ga atarimasu.